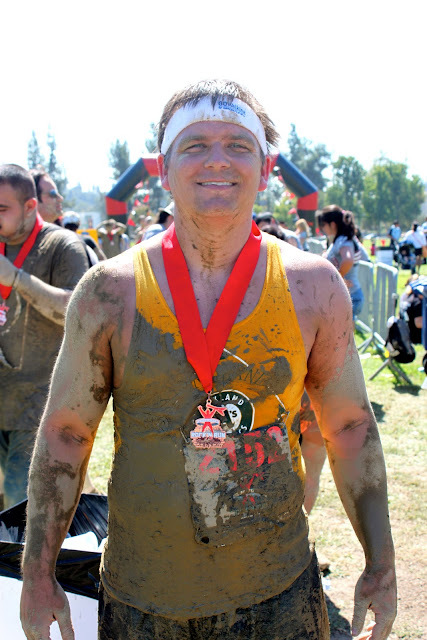 Last weekend, Doug participated in a Warrior Dash race at the Rose Bowl! The obstacles were hilarious to watch. I did not partake in the adventure, but volunteered to be his photographer instead. I couldn't go inside the stadium, but one of the obstacles was to run up and down the stadium stairs 3 times. No thank you! There were some hilarious costumes. So I was sitting right in front of those big metal tubes, waiting with my camera for Doug to come through. I sat there for an HOUR and started to get worried that maybe he was not coming. I have no clue how I could have possibly missed him, but I luckily spotted him running on the other side of the race and ran to catch him at the next obstacle. He later told me that he thought we made eye contact and that I was smiling at him when he went through....guess I was a little spaced out! Have y'all ever done a race like this? First of all, I am SOO happy about your Mamaw! That is WONDERFUL news! A little bit of relief for you - FINALLY! Second, those pictures are hilarious. I have never heard of a Warrior Dash, but that's awesome! The picture of Doug at the top of the cargo net is hilarious! Frame that one! I'll second Brittany's comment - I am very, very happy to hear that your Mamaw is doing so much better. You need some good news, and I'm sure your heart must be resting easier! I've heard of people doing Warrior Dashes (crazy fitness people, of which I am not). Good for Doug! What a tough cookie! This is too funny! Love the enthusiasm in all the costumes! SO GLAD your mom is cancer free! Praise Jesus! Such a an answer to prayer. 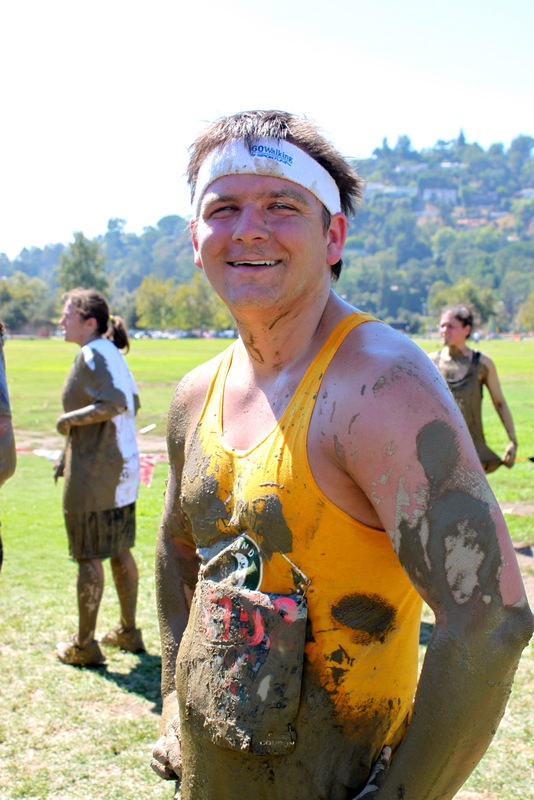 LOL this is almost just like our mud runs except people don't dress up like warriors. How fun!!! That is SO SO fun!! I would love to do that. Well, mostly I would just love to play in the mud. Haha. praise God about the great news on your mamaw's health!!! oh that makes me so happy Julie, praise Him!